The comics will follow the series scenarios. 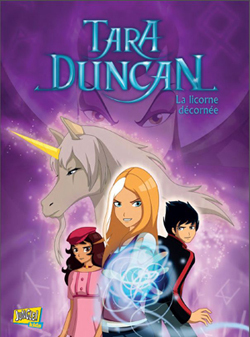 With the diffusion of the animated series, a comic-book, adapted from the series is now published in France. 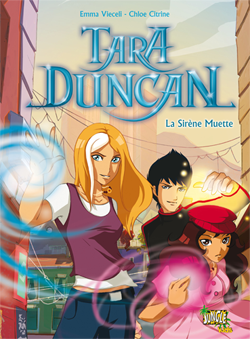 The first comic is called “The mute mermaid” and follows the scenario of the first episode, where a mysterious mermaid steals the voice of a famous singer. Another Tara’s adventure is now published. In this book our favorite spellbinder will have to struggle against the maleficent vampire Serena, who steals a unicorn’s horn.